…Nobody knows how long a trend can last, and when we will be stopped out of a position, but can we roughly estimate that it can happen less than a handful times per annum? Today was a bloodbath (03.12.15)… My over 24% equity plummetted to a mere 1%. More than half of it hit stops… I lost 13% equity. I nurtured it, opened new trades once the dc channel outers were hit, carefully planning everything. 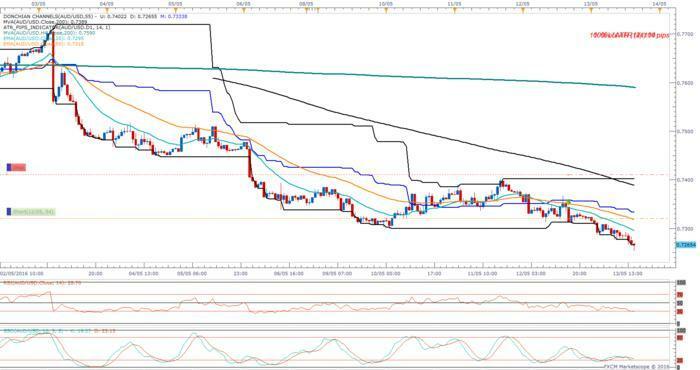 It built up a nice 22k in pips. The small losses racked up and were in about 20%. If all my positions were to be closed it would have brought it into the green again…I had to make 37% to cover all the losses & swaps, I was almost there. All lost…I am so disheartened… Maybe this is a good time to move away from a smaller timeframe? My weekly channel is unscathed though, well, not entirely, it is in the -3% now, it was up 6%. I think one of my biggest contributors to yesterday’s collapse is my lot sizing on entering a position again with a bigger lot size. I had this very bad idea that if a trade was in profit of x pips I would enter it again with a bigger lot size. Now I am looking at using x period of maturity before entering again or should I forget that. What ever way one trades, there is no perfect style or system to trade. When there are BIG news coming out like NFP all bets are OFF. If your a long term trader , then the affect is not great. If you have a short term trade going on and is in the money , best thing is to close it before the news come out. A stop lost will not help you if the trade goes against you and wipsaw beon your stop. what about you, adrian? still in the game with your loooong weekly DCs? Welcome back! Will this account be linked to myfxbook so we can track performance? I am making one small but drastic change to my systems with the new year. I am not going to filter trades with a moving average, I am trading channels in the direction of positive rollover. So my filter is to filter out negative rollover. Last year, negative rollover took too big a bite for my taste. If a pair has negative rollover in both directions I will simply not trade it. If a pair has positive rollover in both directions I will trade the channels in both directions. Being that my systems can hold positions for weeks or months at a time, rollover is a much bigger concern for me than for shorter term traders. I realize that I will miss some big moves with this filter, but I will also miss some very expensive rollover costs and thus keep more of what I do earn and take less risk. rihan, how are you doing in the new year? does anybody have experience with Bollinger Bands? Hi guys, is anyone here still keeping this thread alive, or using this method? I’ve recently been reading about the turtles and am putting together a trading plan (which markets, Time frames, entries, exits, stops, position size)to back test and also to run on a test account. Anyone around to discuss? Did anyone get any success with this long term? Hi, I use DNC’s mainly on the 1H chart set to 55 I have attached a trade I have been in for a while. wow, your chart is quite loaded with indicators…what is your main indicator? DNC or one of the other? 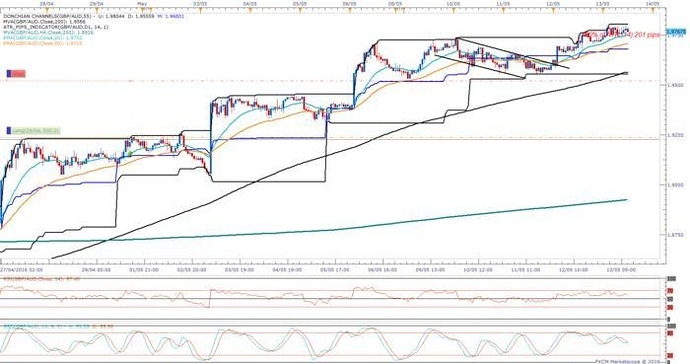 HI, 55 DNC, 200 MVA, 200 MVA set to 4H chart and 2 ema’s just to confirm trend. The middle line in the DNC I use to see if a pair pull-back to this. I run a strong week analysis every day sometimes twice a day and then using the strongest against the weakest I decide the pairs to trade. are you still trading DCs?